When it comes to choosing the perfect house or condo for Spring Break, we suggest doing as much research as possible. Before booking your much anticipated Spring Break getaway, check out all of your options. Both have benefits and it all depends on the environment that is suitable for your guests. Gulf Shores and Orange Beach are popular family-friendly destinations year round but during Spring Break, college students like to hit the beach as well. There is a huge selection of vacation rentals to choose from and the beauty of staying on Alabama beaches is there is something for everyone from partying Spring Breakers who like to party to families with children of all ages. Whether you are looking for a relaxing Spring Break on the beach or a week of high-energy partying, we have a few questions you should ask when choosing between a house or condo. Amenities – If you are looking for the comfort of onsite amenities, then condos typically offer more amenities than a house. Look for full-service resorts and make sure they have an indoor pool as well as an outdoor pool. If looking for a house, look for one with a private pool or a Jacuzzi. Spring Break tends to be early in the year so the Gulf waters may not be warm enough to swim in. Full service resorts offer onsite dining, full-service spas, activities and front-desk services. Ask the rental company what amenities are included in the rates and which ones have an additional fee. Privacy and Security – When seeking privacy during Spring Break, a standalone house may be a good choice for you. Ask the vacation management company about parking to ensure there is plenty for your guests. If you are planning of staying in a condo, ask about onsite security for your protection. Ask about a house on a well lit street and any safety concerns you have especially if you have kids old enough to walk around town on their own but aren’t old enough to drive. 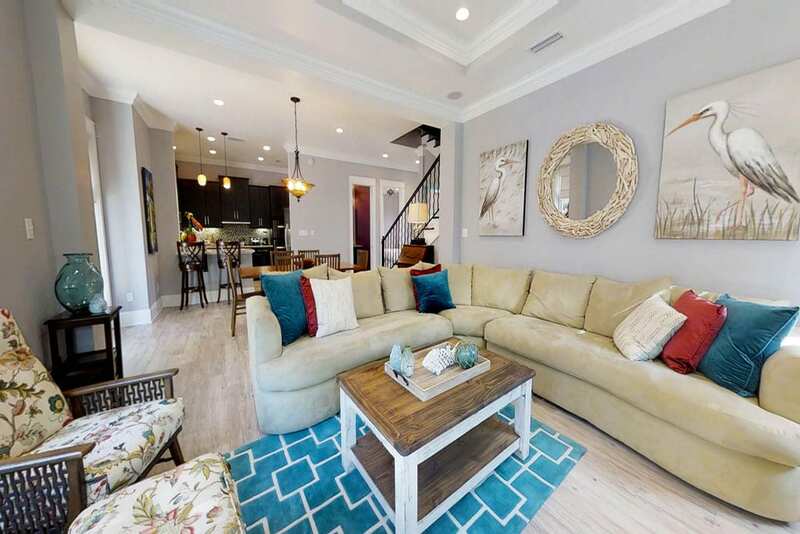 Location – Location is extremely important when booking a vacation rental in Gulf Shores and Orange Beach because there are 32 miles of beautiful sugar-white beach so you have a lot of options to choose from. Are you looking for something in Orange Beach close to the Flora-Bama or something off the beaten path in a village resort community like The Beach Club? Ask about the distance to restaurants and bars if you are looking to dine out a lot or go out in the evenings. If you are looking for something family friendly, then ask about local attractions for all ages. We suggest composing a list of questions and concerns you may have before booking your Spring Break vacation rental. Everyone has different concerns and questions so we suggest looking for FAQ sheets on your rental management company’s websites. Make sure you book the right rental for you and have a safe and happy Spring Break.